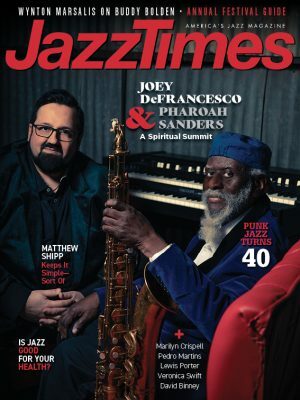 Beginning this week, JazzTimes will be regularly posting the “Farewells” included in our March 2019 print edition. Each piece features a prominent jazz figure offering his or her recollections of a member of the jazz community who left us during 2018. To start the series off, we asked John Gilbreath, executive director of the Earshot Jazz Festival in Seattle, to share some words on his colleague in event coordination, Vancouver International Jazz Festival founder Ken Pickering. This online exclusive is being presented for the first time here. It is remarkable that the creative passions of one individual could tangibly shape the cultural identity of a major international city like Vancouver, B.C., but Ken Pickering was a remarkable individual. He was the founder and longtime artistic director of the Vancouver International Jazz Festival, which well deserves its reputation as one of the most important jazz festivals in the world. Through his clear artistic vision, amazing organizational skills, and a personal mission to make creative music freely available to the widest possible audience, Ken built a sophisticated cultural aesthetic wrapped in the mid-summer package of a raucous and downright joyous community celebration. Ken’s fervent dedication to adventurous programming always meant that a fascinating lineup of lesser-known international and regional artists would share equal billing with the festival’s marquee headliners. And the two massive, free-admission weekends that bookend each year’s festival make half of the events open to everyone, fulfilling Pickering’s goal of bringing creative music to new ears, with attendance numbers around half a million. A true native son, Ken’s roots in the region grew from his Haida and Shuswap ancestry, and tied him to the founding families of the Victoria area. His early interests in creative jazz and Vancouver’s cultural community began with his own independent record store, Black Swan Records, which became a shrine for serious musical pilgrims in the 1970s and ’80s. 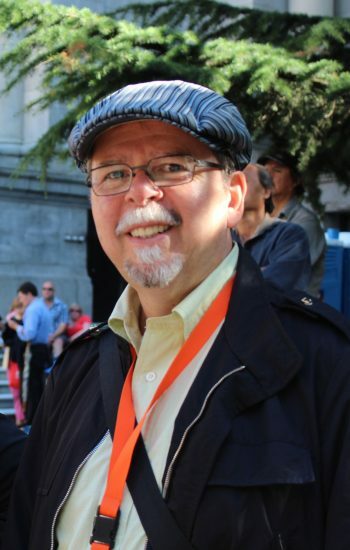 In the mid-’80s, Ken and colleagues formed the Coastal Jazz and Blues Society, a year-round presenting organization, and the producing entity behind the Vancouver festival. In the process of nourishing his own community, Ken also brought in musicians from abroad, tapping into the fertile creative scenes of Paris, Amsterdam, Oslo, and beyond, and finding ways to work with governmental agencies within various countries to spearhead cultural export initiatives and to assist individual artists. For an essentially quiet and private individual, he was a master at building networks and forging enduring relationships, large and small. The WestCan Jazz Association that he first formed to coordinate regional touring has grown into the coast-to-coast, 22-member Jazz Festivals Canada, and serves as a model for presenter-driven touring consortia work. From my Seattle vantage point at Earshot Jazz, just down the road from Vancouver, Ken Pickering was always an inspiration and guiding light. When I first came to Earshot as a volunteer in 1990, Ken’s influence and working relationship with my predecessor, Earshot co-founder Gary Bannister, had already helped build the Earshot World Jazz Festival, which ran in late June at that time, concurrent with the Vancouver fest. The programs they were cooking up back then consisted of the most magically engaging music I’d ever experienced—including Butch Morris, Don Cherry, Willem Breuker, Hermeto Pascoal, Jon Jang, Aster Aweke, Henry Threadgill and beyond. Despite geographical proximity, I rarely saw Ken in the Pacific Northwest. More likely I’d fall into a hang—and he was a master of the hang—during conferences or festivals in New York or Amsterdam or at jazzahead! in Bremen, Germany. In any milieu, Ken’s passion for the music was expansive and contagious. He was hip. He loved sharing good food and good wine anywhere in the world, but especially at his own table. He is survived by his wife Christine, his dog Booker, and a wide community of loved ones.